Home > Inheritance & Trusts > Questionnaire: Is a Trust Right For Me? Trusts can be a useful and effective method of reducing an Inheritance Tax liability. Even with the new, more lenient regulations regarding IHT, tens of thousands of households are still at risk from this 40 per cent tax. Furthermore, trusts can also help ensure that your beneficiaries are not subject to the lengthy and often difficult process of probate. However, trusts are not suitable in every circumstance; sometimes they are unnecessary, and sometimes a different legal tool or course of action would be more effective. 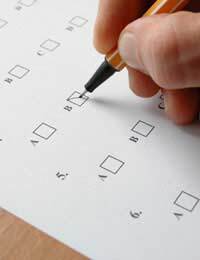 This short questionnaire will help you decide whether or not a trust is right for you. Is a Trust Right for Me? Are you married? - Inheritance Tax exemptions are offered for transfers of assets between married couples or those in civil partnerships. However, unmarried individuals do not receive this perk, even if they are living with a long-term partner. Is the value of your estate lower than £312,000 if you are single, or £624,000 if you are married or in a civil partnership? - Unless your estate is worth more than these figures, an Inheritance Tax liability will not arise and you will therefore not need to establish a trust. Are your inheritance and tax affairs fairly simple? - Most estates will not need to go to probate, as there will be an easily identifiable dependant or beneficiary. However, more complex estates may result in the descendants being forced to go through the probate process. This is also true of intestacy; it is therefore vital that you write a will. Are you confident that your will is well written, and clearly identifies your beneficiaries? - In most cases, particularly when the value of an estate falls below the nil-rate band, a clearly written will should suffice. If you answered yes to most of the questions here, you may find that a trust is unnecessary in your circumstances. Falling property prices, along with the new married couples’ nil-rate band, have meant that Inheritance Tax is affecting fewer and fewer people. However, it is important to remember that property prices will rise again; as such, you should plan ahead for the possibility that you will again have to take action to avoid IHT. The probate process is the other major reason for the establishment of a trust. The probate process can be difficult, time-consuming and upsetting for your dependants – not to mention expensive. However, unless your affairs are particularly complex, or there is some dispute regarding inheritance, it is likely that probate can be avoided with the use of a trust. Finally, it may also be that there are assets that you simply do not want associated with you when you die, for reasons of privacy. This is a perfectly reasonable use for a trust. In these cases, you may wish to appoint a professional, independent trustee in order to maintain your anonymity. In any case, establishing a trust can be a complex process. As such, it is important that you seek professional advice, regardless of your motivations.